Modern state-building has often involved the incorporation of peripheral peoples who are ethnically distinct from the state’s dominant group. Some of these peripheral groups succumb by assimilating, while others contest the legitimacy of the state’s claim and violently resist integration. Others are able to reach some sort of modus vivendi by negotiating the extent of their autonomy and self-governance. Why some groups follow one path and not another, however, seems not to have a very straightforward relationship with initial political, cultural, or economic conditions. What explains this variation? In this paper I utilize Fredrik Barth’s (1969) assertion that ethnic relations are not determined by any objective cultural or socio-economic differentiae, but rather by the nature of the boundary erected between them. 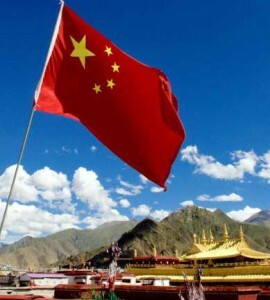 I am particularly interested in understanding how China’s three ‘homeland’ minorities – Tibetans, Uyghurs, and Inner Mongolians – have or have not maintained ethnic boundaries between themselves and the dominant Han Chinese. Cursory empirical observations suggest that the former two have retained a sense of ethno-political distinction, whereas the Inner Mongolians have undergone a process of assimilation. The latter assertion is based on increased Chinese language use by ethnic Mongolians. Is this really the case, however? Is linguistic assimilation really a straightforward indicator of inter-ethnic boundaries dissipating? Will a more thorough and sophisticated examination yield a more nuanced picture? My comparison will proceed on two levels. First, I will utilize existing studies of other multi-ethnic states such as the Soviet Union/Russia, Indonesia, and Spain in order to generate a workable framework for understanding how ethnic minorities maintain (or fail to maintain) boundaries between themselves and the dominant state. How do general macro-level changes such as economic growth and reform, technological advances, and limited relaxations in the political environmental facilitate the creation of new boundaryenforcing mechanisms and negate others? Second, I will narrow my focus to two changes particular to the Chinese context. The first is Han migration to minority areas. Han migration to Inner Mongolia has considerably outpaced that to Tibet or Xinjiang. This type of migration is typically thought to be an aggravating factor in ethnic relations, so why has this not resulted in greater inter-ethnic conflict in Inner Mongolia? The second change is greater interaction with ethnic kin outside China. This is generally assumed to infuse ethnic identities with emotive content, but increased interaction between Inner Mongolians and their ethnic kin in the Mongolian Republic seems to have not played this role. What explains these two paradoxes? I will base my conclusions on theories on ‘frame alignment’ – namely, that ethnic elites in these three minority areas have had varying success with respect to ‘packaging’ these macro-level and Chinesespecific changes. In particular, in Inner Mongolia, the greater socio-economic success of the Han, and the comparatively dismal economic and political performance of ethnic kin in Outer Mongolia, has complicated the framing process. On balance, has this resulted in a weakened ethnic boundary? How does this compare with boundary maintenance efforts in the other two minority areas? This entry was posted in Social and tagged China, Ethnic, Reform on 20/02/2018 by Mary.